The younger generation are more likely to be risk-averse. According to a study, the young-guns hold 52% of their savings in cash and only 28% in stocks. For the previous generations this cash to stock ratio was in reverse, 23% in cash and 46% in stocks. The millennials need to understand the primary rule of the game that is to invest aggressively now, while you’re young, as you’ve a long time horizon that will allow you to recover from any losses, so you can reap the compounding benefits of growth. If you’re a newbie to investing in stocks, get the lay of the land first. Browse through some magazines, read some basic books, research on the internet, join an Investing 101-type Meetup group, glance through the Bogleheads forum on the web, it’s specially catered for do-it-yourself investors. If you keeping your costs low, it’s surely going to reap higher returns. Gradually over time, miniscule percentage charges and/or small fees add up. For a middle class family, this will consume almost one-third of the investment returns, this data is according to a study published by the public policy organization ‘Demos’. In an effort of trying to beat the market, young investors frequently underperform not just the market, but also in the investments they choose, because they buy and sell at less than optimum times. Once you’ve got a great start, you should have an investment advisor or financial planner who will give you advice that’s in your best financial interest. 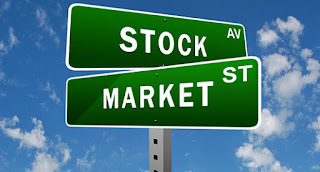 When you meet your planner, discuss with him a percentage that you can safely set aside for stock investing purposes. This amount of money should be expendable and shouldn’t be required to achieve your goals. Follow these pointers if you’re planning to invest as that is a right thing to do. For a young generation, savings is essential and investing in stocks is one of the best options to go for.